ABOUT THE PROGRAM Some Assembly Required features work by a variety of artists working with bits and pieces of their media environments, giving something back to the cultural landscape from which they so enthusiastically appropriate. The genre is still young, despite examples dating as far back as 1961, when James Tenney constructed a tape collage borrowing heavily from cut-up fragments of a recording by Elvis Presley. Both provocative and surreal, this style continues to evolve and to challenge. 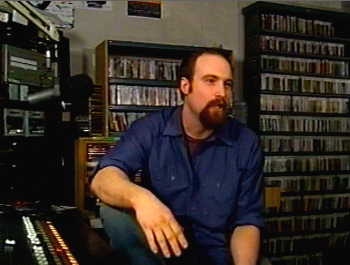 INTERVIEWS Since its inception in 1999, host Jon Nelson produced over thirty artist features, interviewing everyone from John Oswald and The Evolution Control Committee, to Christian Marclay and DJ Spooky - providing a variety of unique perspectives on the nature of this daring and creative style of expression. Each Interview Episode is freely available to download HERE. Also check out the SAR Q&A, featuring profiles on over 175 of the sound collage artists played each week on Some Assembly Required. Click HERE for a complete list of artists interviewed on Some Assembly Required (All of which are now available to download). Click HERE for a full list of episodes, along with playlist information and download links for each show.